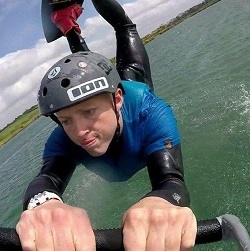 Our best team yet: We at The Kitesurf Centre pride ourselves in having a selection of the most experienced and highly regarded instructors in the UK. For 2018 we have our best team yet... we even added another dog! Hand Selected: Our hand picked instructors are all BKSA or IKO qualified with a vast amount of experience. Most of which have previously managed centres in the UK and abroad or do so in our winter months. Continual training & improvement: Having great instructors really makes a difference to your kite lessons, as teaching kite & watersports can be difficult. This is why we are very selective when choosing our employees and continually change and improve our instruction methods with staff coaching. 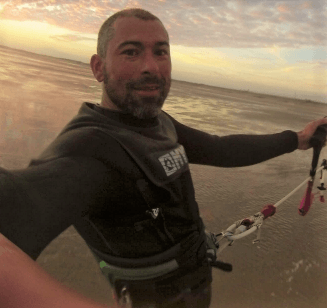 Tristan learnt to kitesurf in 2005 and continued his passion whilst at University where he obtained a Marine Engineering degree, but more importantly his instructors certificate! On completion he taught for schools in England and abroad before gaining his senior instructor certificate and subsequently managing several centres. Before establishing The Kitesurf Centre with Thomas, he taught potential kitesurfing intructors the BKSA syllabus in Egypt. Tristan loves going kitesurfing on the really stormy days and doing huge jumps and mega loops - if it's 40mph+ then you'll see him out there! 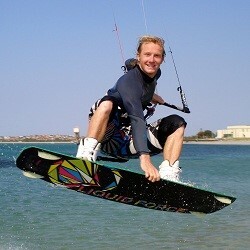 Thomas initially learnt to kite landboard whilst studying a Masters degree in Chemistry at Warwick University. 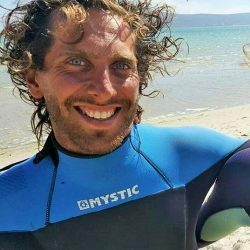 After graduation he moved into kitesurfing and taught at several schools in the UK before establishing The Kitesurf Centre with his brothers in 2007. Thomas is also a keen snowboarder and stand up paddle boarder which has really opened up our eyes to the amazing wave surfing conditions Camber can offer. 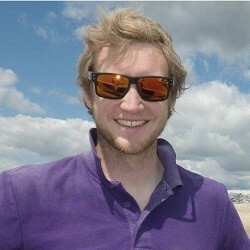 He runs the repair service with Michael and is very knowledgeable about all sorts of kitesurfing equipment. If he's not at the Centre you might see him out and about racing the roads of East Sussex on his road bike! Rupert initially bought a power kite many years ago to landboard with but was soon hooked and wanted a bigger kite so then learnt to kitesurf. Along with his brothers, Rupert is also involved with the running of the school and is very knowledgeable about the local conditions and equipment. 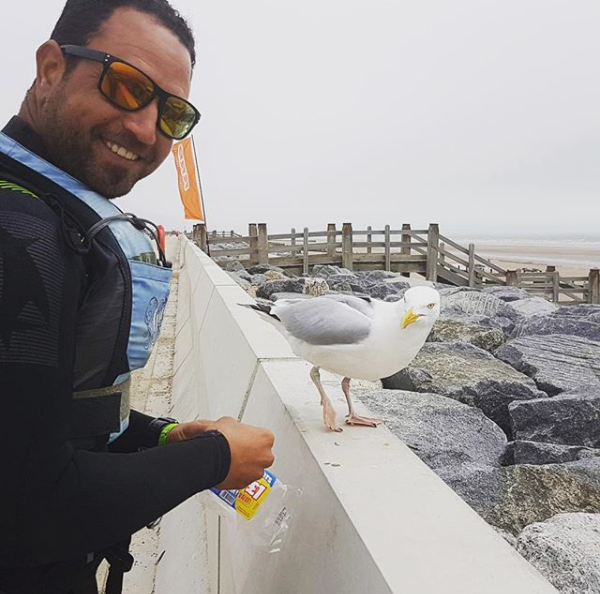 As well as kitesurfing and stand up paddle boarding/surfing, Rupert also loves snowboarding and cycling. He currently holds the world record for fastest speed on a snowboard (indoor) and is possibly the world's biggest fan of biscuits. When not going for his next world record you'll find him buried in a pile of ideas for all sorts of inventions! 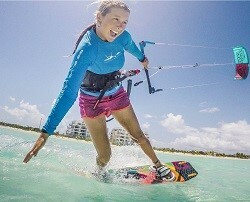 Jen has been teaching for 8 years and involved with kitesurfing many more. She has taught around the UK and managed kite schools at various destinations worldwide, bringing with her a great passion for kiting, fantastic dedication to all things watersports. 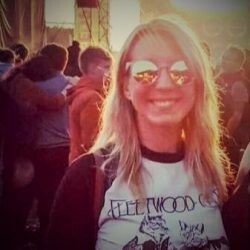 In addition to being a part of the management team, Jen is also a co-founder of thekitespot.com and writes equipment reviews for TheKiteMag. As well as the languages shown on the flags below, the addition of Jen to The Kitesurf Centre crew means we can now teach lessons in 'Northern' - but for everyone else, don't worry we'll add subtitles! Karen has been involved with The Kitesurf Centre since 2014 (when she came to visit on holiday but ended up painting the centre!) and in 2017 took on the role of Centre Manager. When she's not helping you out with booking lessons or buying your latest equipment, Karen is learning to become an instructor herself and is also running The Kitesurf Centre blog about the learning experience and all things kiting. 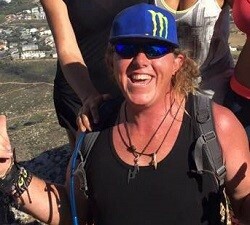 If you've got questions about starting your kitesurfing journey, Karen's your girl! 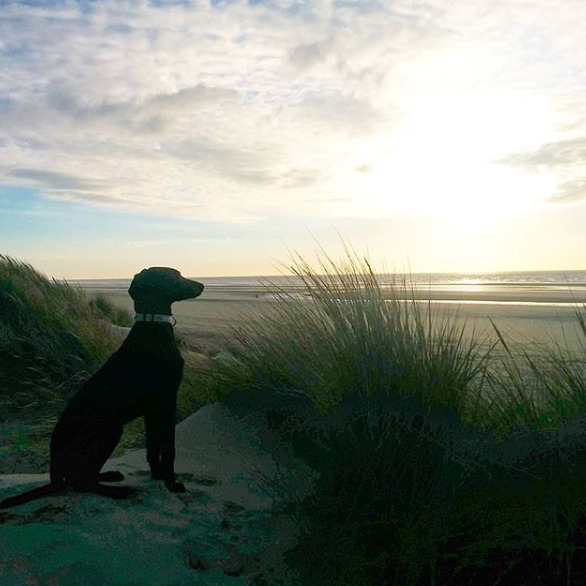 When she's not at the centre you'll find Karen playing with dogs on the beach, cycling and hiking around the local area or camped out in the sand dunes reading a book. 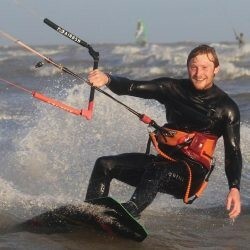 Clive is super friendly, enthusiastic and a real asset to The Kitesurf Centre. You'll often see him on the beach with his similarly enthusiastic kids, and if you're lucky enough you might even have one of the older ones helping out on your lesson! Always finding something to laugh about, you're guaranteed to come back from a lesson with Clive with a smile on your face. 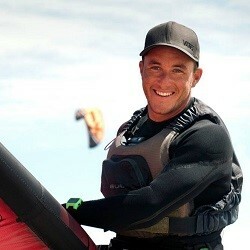 Ben joined The Kitesurf Centre in 2011 after instructing for several years previously around the world. He's been around since the beginning of the sport (in 2000!) so knows all the ins and outs. 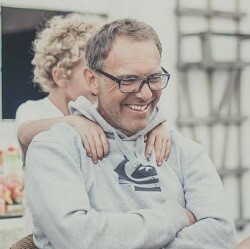 He spends his summers in the UK and winters abroad either snowboarding or kitesurfing. He is known by pretty much everyone on the beach (sometimes as "that always happy guy"), is very popular and also probably the most energetic person in the world! If you're wanting a 6am lesson in storm force winds... we'll get in touch with him. Just a warning though - Do not give this guy a coffee. 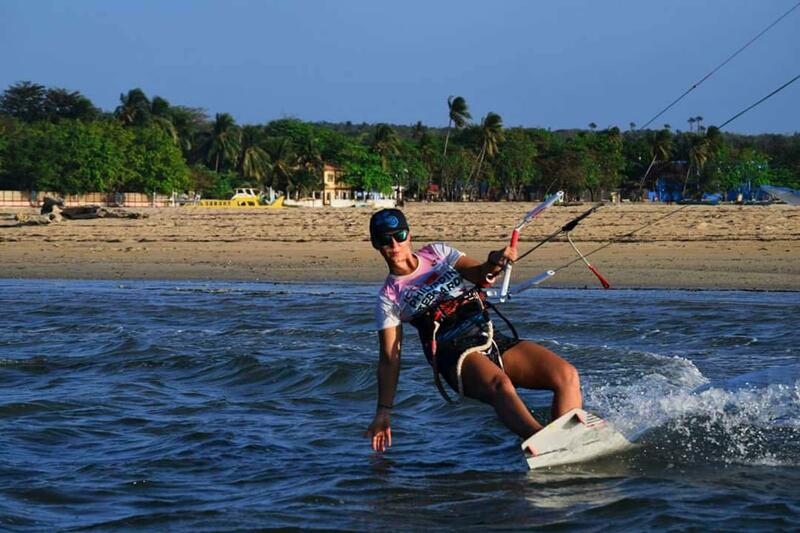 In 2011 Janna converted from diving to kitesurfing - a great switch! Having travelled all over the world diving, kiting and snowboarding, Janna moved to Camber at the end of 2017 and has been instructing for us since then. She is multilingual, really friendly and a great part of the team. Always happy, especially when there's sun and wind, Janna's enthusiasm is infectious and you'll always enjoy a lesson with her. When she isn't teaching you'll find her playing in the sand dunes with her adventure loving daughter Freya - we challenge you to find another toddler who knows more sea creatures than she does! He's been involved in kitesports for around 10 years now and this shows in his extensive knowledge of all the equipment. Known for being loud and crazy, you'll hear Steve on the beach before you actually see him! When you do see him you'll very quickly realise this is a man who loves kiting and spends a lot of time in the sun doing it! Samina fell in love with Camber a few years back and trained with us in 2016 to become a BKSA instructor, after which she left her life in the City and moved to the beach full time - something she'll tell you was the best decision of her life! Since then she hasn't looked back and has instructed in the UK, Zanzibar and the Philippines. Samina is super fun to be around and always makes sure her students love every minute of their lesson. She teaches in both English and Lithuanian, and no matter what language she teaches you in you'll come away with one of her great kitesurfing catchphrases. Adham met Tristan in Egypt many years back whilst he was running one of the many centres in Hurghada. With 15 years of experience teaching and several years experience managing, Adham is a great addition to the team. Now that he's been granted permanent residence, he's here to stay and is bringing his infamous happiness with him! This year Adham will be taking on the role of head instructor, so you're sure to see him out and about overseeing all of our lessons. Just like Steve, Paul took our 8 Week Fastrack Instructor Course and has stuck around ever since! He'll be the first to tell you that it was one of the best decisions he's ever made. After a great first season instructing for us, we've asked Paul to come back as so many students were requesting him! Always looking for something fun, Paul is a brilliant part of the team and his excitement and support of students throughout his lessons make him a great instructor. You may have spotted any of the numerous googly eye faces around the centre (or local village!) - these 'works of art' belong to Paul - we told you he's always looking for fun! Michael has worked for us for several seasons after joining us originally as an apprentice. Now that he's finished with University, it's time to get back to the most important thing - kiting! Always up for a laugh and a joke with his students, Michael will do everything he can to ensure you have a great time on your lesson. Last year we holed him away making use of his impressive kite repair skills, but this year we're letting him out onto the beach and he's pretty stoked about it! Another success story from our BKSA Instructor Course, Marius joined us for the second half of the 2017 Season and is here for the full ride for 2018! Always enthusiastic and waiting with a high-five, Marius is super keen and excited to get as many lessons under his belt as possible. Always getting good reviews from his students, Marius has been a firm favourite of some students last year who no doubt will be happy to hear he's back for another year. The third and final member of our team to join us after completing the 8 week course is Alex, Marius' younger brother. Just as enthusiastic as Marius and with the same penchant for early morning high-fives, Alex has been requested by many of his students. Now here for his second season after spending the winter teaching snowboarding, he brings even more experience this time around and is ready for a new bunch of students. Alex is often shadowed on his lessons by the third Dan brother, Vlad, who is planning to take the ITC so we can have the "full set" teaching! Joining us new for the 2019 season is Loki, our excitable new puppy! Taking directly after his namesake, Loki is a wonderfully adorable yet mischievous dog with a love of walks on the beach and belly rubs. You'll find him wandering around the centre shop looking for people to play with. We've not quite got him trained to fetch kites yet, but it's an ongoing project!